Richard Joseph Neutra was a notable Austrian-American architect, accredited for introducing the International Style into American architecture and for developing the style of California Modern into residential architecture. 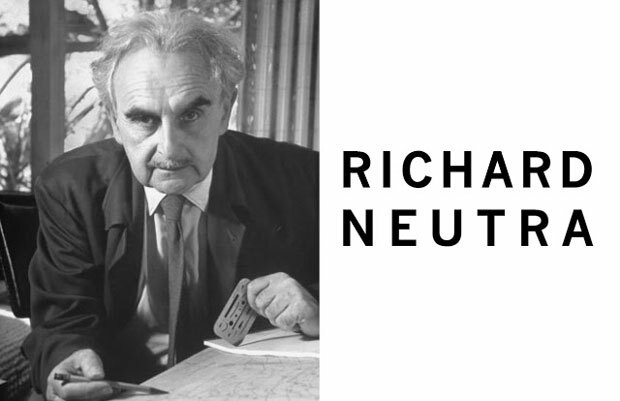 Richard Neutra was born on April 8, 1892, in Vienna Austria. He attended the Technical University, where he studied architecture under Adolf Loos. Loos educated Neutra in the rapidly trending American Style, and Neutra was particularly influenced by the work of Frank Lloyd Wright. In 1919, after serving the army in the WWI, Neutra settled in Germany along with his wife, and began working for renowned architect and designer, Erich Mendelsohn. In 1923, Neutra migrated to the US, he settled in Chicago, and briefly worked with Frank Lloyd Wright. In 1925, he moved to Los Angeles and in 1926, he established his own practice. In 1929, he was commissioned to design the Lovell Health House in Los Angeles, this design marks his early success and rise to fame. The house was praised for its glass work, cable-suspended balconies, flowing space and an array of windows. The house has become an iconic symbol representative of Neutra’s distinct style. In 1946, Neutra was praised for his design of the Kaufmann house, and his participation in the early Case Study House Programs. In 1952, he worked on the Moore House in Ojai, California, and provided the design a stylistic balance between the abode and its surrounding environment through his innovative and creative ideas. The house was located in the middle of a desert, and therefore, it faced a shortage of water. However, Neutra added a reflecting pool to the design for water storage and irrigation. He built the house in such a way that it seemed to float on the pond, and resembled an oasis. In the 1950s, this design was awarded by the AIA. In 1961, he undertook another innovative project, the Gettysburg Cyclorama Centre, which also garnered world-wide acclaim. All his designs have the unique and distinguished feature of making the outdoors a part of the house by adding a range of porches, patios or gardens. Neutra believed that “architecture should be a means of bringing man back into harmony with nature and with himself”. During the 50s and the 60s, Neutra was commissioned for building and designing churches, colleges, universities, housing projects, cultural centres, and office buildings. In 1966, he formed a partnership with his son, and named the firm Richard and Dion Neutra Architects and Associates. Richard Neutra also authored three books, “Survival through Design” published in 1954, “Life and Human Habitat” published in 1956 and, an autobiography, titled “Life and Shape”, published in 1962.